Numerous articles credit the invention of MIG welding to a number of sources. Some references mention the invention occurring in the 1920’s which, appears to be at least partially true. This overview will focus on process innovations and not specific equipment or filler metals developments for which there are also numerous significant inventions. A search of the US patents and some AWS Welding Journal articles helped define the sequence of events that advanced the science of GMAW (also referred to as MIG for Metal Inert Gas or MAG for Metal Active Gas welding since for welding steel some reactive gas is needed such as a small amount of oxygen or 8 to 25% CO2 ). My preference is to use MIG welding as that is the more common terminology used in North America and is easier to pronounce than GMAW! Getting hung-up with the technical issue of using MIG when welding aluminum with pure Argon or MAG when welding steel is also something not used in the Americas. MIG, in my opinion, is far better than getting tongue tied with GMAW and using terms like "Wire Welding" which is unfortunately all to common. I also lived some of the history of MIG developments knowing and working with some of the folks directly involved with the process development. Documentation of the facts presented is given with patent numbers, references and photographs. 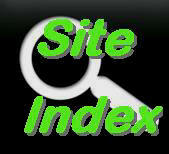 It is suggested students search the US Patent Record using the patent numbers provided. It is available for patents issued from 1790 free of charge on the Internet. 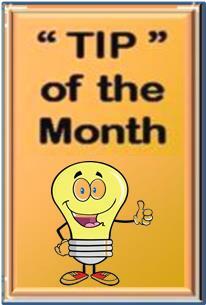 Often other patents than those mentioned can be obtained by looking at those sited in subsequent patents. On the last MIG History page the specific references sited are listed as well as some other significant historic references which should be considered since the research work in that era was very comprehensive. The use of other than US sources was limited, however if foreign patents were granted in the US or technical papers were published in the AWS Welding Journal, a number were reviewed. ALL PUBLICATION RIGHTS AND MATERIAL PRESENTED ARE THE SOLE PROPERTY OF WA TECHNOLOGY, LLC, AND SHOULD NOT BE COPIED WITHOUT WRITTEN PERMISSION. ANYONE IS FREE TO MAKE ONE COPY FOR PERSONAL USE. THIS CAN INCLUDE ONE PHOTOCOPY, ONE PRINTED COPY, AND ONE EMAIL COPY. THIS INCLUDES USE BY A STUDENT FOR AN ACADEMIC PURPOSE. As some references mention, the idea for MIG welding can be traced to some early research. 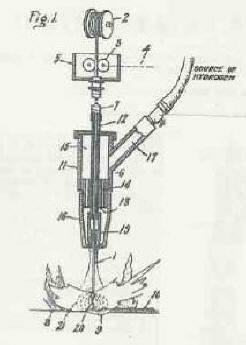 For example, a patent by Alexander, filed in December 1924 (Patent Number 1,746,207) appears to present a MIG welding system much as used today. 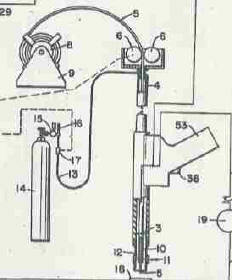 See attached figure from the patent on left) However they state having tried unsuccessfully to use carbon dioxide as a gas shield. On Page 1, Lines 91 through 96 of the Patent Specification Alexander states; “I have also welded in an atmosphere of carbon-dioxide and in an atmosphere of illuminating gas and in every case the welds were brittle and not as good as welds made in air.” Perhaps the power source used did not have the proper characteristics although it was apparently one frequently used for welding with solid wires in air. His patent is for welding with Hydrogen, often referenced as the hydrogen welding process. The hydrogen ignites with the surrounding air and surrounds the arc with a reducing atmosphere. The arc however is acknowledged as proving most of the welding heat. A patent filed by Brace in September 1936, assigned to General Electric (Patent Number 2,053,417) shows what could be said to be the MIG welding process. He defines the use of a number of shielding gases (see his figure 1 right.) However his shielding device is shaped like a shower head. 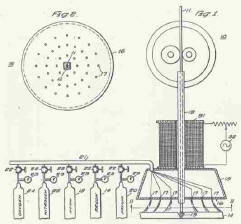 Of interest, Gorman in the original TIG Gas Lens Patents discusses how his research using porous diffuses worked like a shower head and pulled air into the area between the steams! [Note: air flow is not intuitive which is why NASCAR, Indy Car and Formula 1 race teams spend tens of millions of dollars each year on wind tunnel testing. It's like folks who drive with their Pick-up Truck Tail Gates Down thinking they are improving gas mileage when it actually makes it worse!] Also the gas mixtures defined by Brace, although broad, may not have been appropriate for good arc stability. One can tell the metal transfer was not very good by the electric coil shown surrounding the wire (numbered 31) in the figure. Brace states on Page 2 of the Specification, Lines 47 to 53; “I have found that the magnetic flux produced by the winding 31 when energized with an alternating-current source sufficiently disrupts the surface tension which would otherwise be present to cause the formation of relatively large globules of the molten metal from the welding electrode 11.” Obviously a complex way to achieve what would be simply controlled with the proper power supply characteristics and shielding gas mixtures! In Claim 8 they define the metal transfer means as being, “a spray of fine discrete droplets within the gas shield.” This was the transfer mode employed until the next major breakthrough, short circuiting MIG, or “Short Arc” as it’s often called.